The Cat and Co. take off to the faraway land of Gerpletz where they know quite a lot about caring for pets especially cats, dogs, guinea pigs, birds, and bunnies! From the food, shelter, exercise, and medical care they need to the love and companionship they crave, the Cat teaches beginning readers how to keep their pets (and themselves!) healthy, safe, and happy." The Cat and Co. take off to the faraway land of Gerpletz where they know quite a lot about caring for pets--especially cats, dogs, guinea pigs, birds, and bunnies! 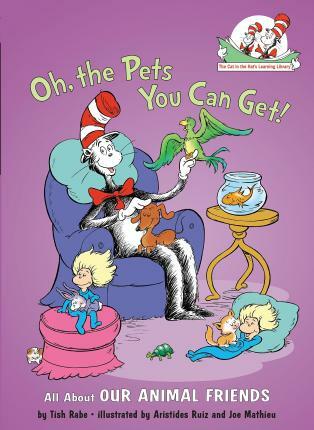 From the food, shelter, exercise, and medical care they need to the love and companionship they crave, the Cat teaches beginning readers how to keep their pets (and themselves!) healthy, safe, and happy.